The south generally experiences 2-3 day extended cold temperature periods that precede returning to more normal seasonal temperatures soon after. 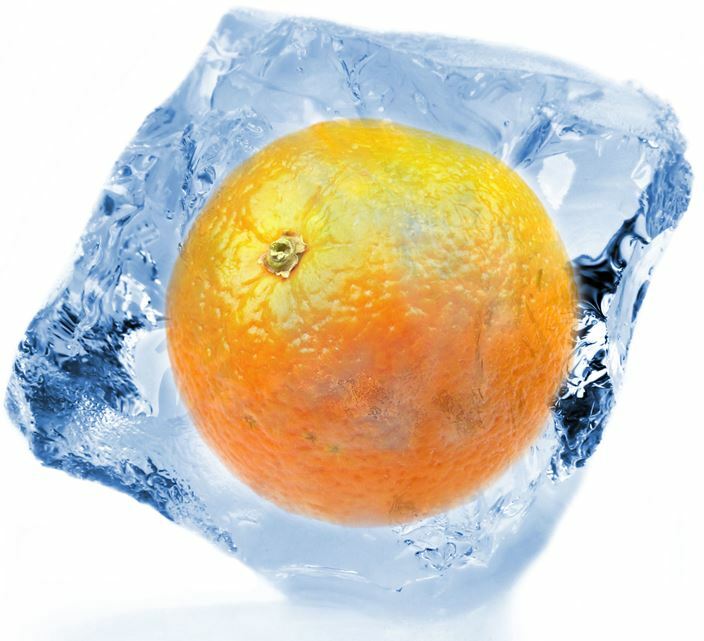 Farmers have historically had to deal with low temperatures to try to save their warm temperate-tropical crops. Record low air temperatures were recorded all over the state in January 2010. For example, Tampa International Airport broke a record as temperatures dipped to 27°F on January 6. The previous record low for the day was 30° in 1999. Temperatures at Plant City were at 25°F, Clewiston was at 27°F, Fort Pierce and Immokalee at 29°F and Belle Glade was at 34°F. Miami hit a new record low as temperatures dipped to 36°F, breaking the old record of 37°F, which was set in 1927. Key West also set a new record low for the day at 42°F. Water temperatures generally take longer to drop as air temperatures decline, given the unique characteristics of water. The fact that water's density in its solid form (ice) is less than its liquid form is one example of these unique properties. This is why ice floats when frozen, allowing aquatic animals to survive in the unfrozen depths of frozen-over lakes. Water also has a high specific heat, meaning it can absorb a lot of heat (energy) before its temperature rises or boils. This same process is why water temperatures lagged significantly behind the record low air temperatures, especially near the coast where the Gulf moderates changes. The extended cold temperatures impacted not only marine mammals, but also large and small fish as well as invertebrates. 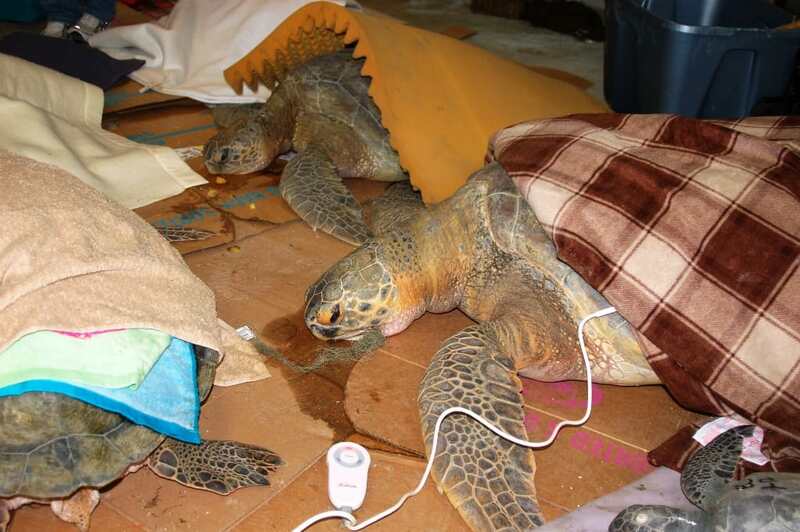 St. Joe Bay, FL in particular experienced a major sea turtle cold stunning event and people struggled to find, collect, and transport stunned turtles to rehabilitation facilities. This massive sea turtle cold stunning event resulted in more than 3,000 cold stunned sea turtles. The live turtles were rescued and taken to rehab facilities around the country.The number of manatee deaths was unprecedented, with 480 carcasses recorded statewide during 3 mo. from January 11 to April 9, 2010. 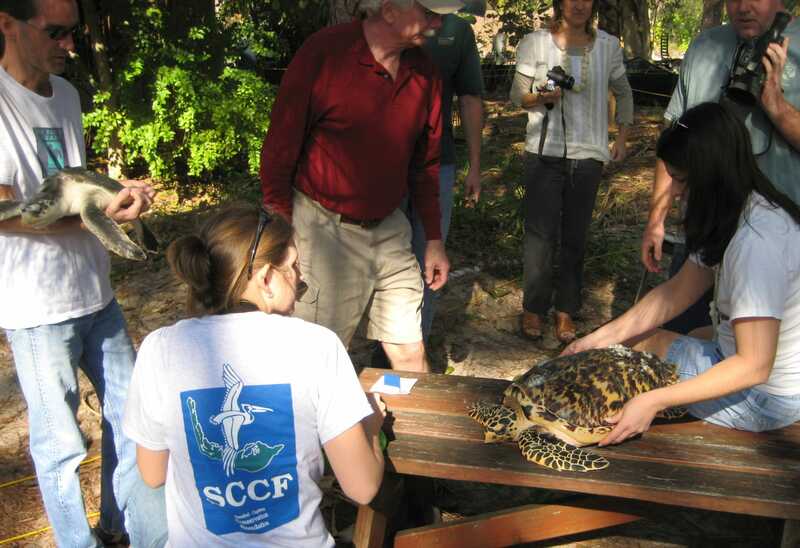 Significant impacts to turtles and manatees were also dealt with locally in Sanibel and Captiva. SCCF's RECON, now running since late 2007, early 2008 shows the extent and tempo of this rapid temperature decline. Water temperatures were lower than they have ever been since it came on line in late 2007. We hit an air temperature of 32.14°F at the SCCF weather station. 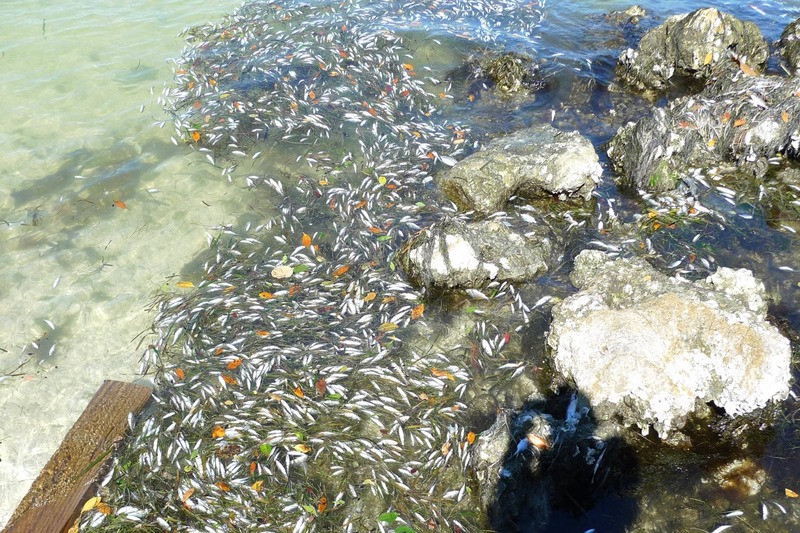 Numerous dead or dying fish were observed in Tarpon Bay by the lab, including ladyfish, tarpon, pinfish, filefish, mojarra, gag grouper, mullet, and catfish, among others. This event also caused statewide mortality of an important warm water adapted gamefish, the common snook, Centropomus undecimalis. Snook abundance remained at least 49% below pre-cold snap conditions for four years after the event. The red line marks 50 degrees. The temperature at which sea turles begin to experience cold stunning.